The proprietor Lynn Marriott came from an equestrian background where she was interested in the Biomechanics of the competitive horse and was involved with both racehorses and show-jumping. Following a back fracture from a riding accident she developed an interest in human rehabilitation and Biomechanics. A previous spell in the Territorial army had inspired a love of long distance running. She retrained and began working initially as a foot-care practitioner, continually adding to her qualifications. After another 5 years further study Lynn qualified as an HPC Podiatrist including Podiatric Sports Medicine,Cryosurgery and Muscular-Skeletal Biomechanics and is now qualified to write her own prescriptions for orthoses. In addition she is a qualified fitness instructor taking a limited amount of clients. When Lynn started the practice her teenage daughter was the receptionist. Her daughter is now a doctor specialising in paediatrics. Lynn regularly sees many of the original patients who remember those early days of the practice. Today the highly successful practice, founded in 1997 boasts a sophisticated, well equipped gait analysis surgery plus full Chiropody service, specialising in the long distance runner. Lynn has treated many elite athletes and all manner of medical conditions over the years. The active patient or would be more active patient is also likely to benefit from a Sports Podiatrist. 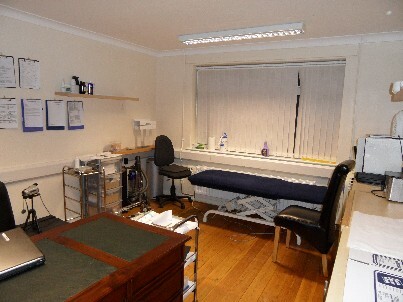 We were previously known as Lynn Chiropody Clinc. The clinic is still owned and operated by Lynn. The reason the name has changed is to get people thinking about the way they walk and how it impacts on their health. In the last 10 years medical technology has evolved so much that the old image of a chiropodist many people have now no longer fits our expanding role.Many of our patients say they wish they had understood biomechanics and orthoses years ago as their problems could have been solved much earlier if they had known.